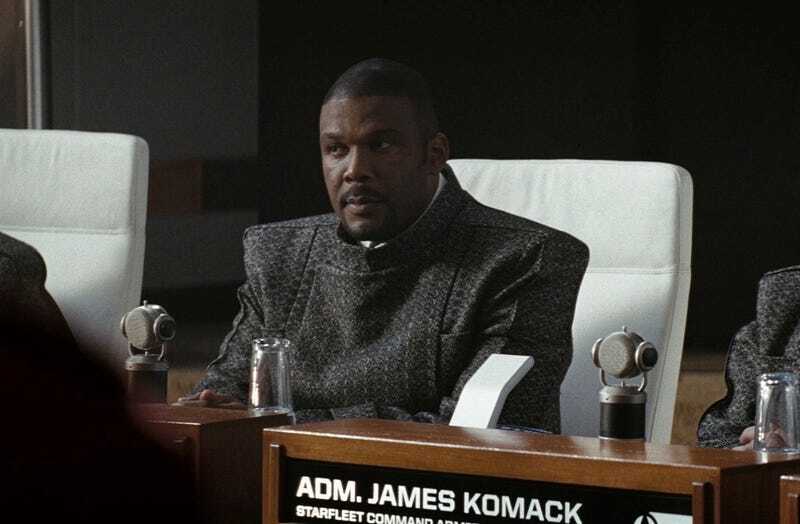 Tyler Perry, seen above in his non-pivotal role in Star Trek, has just been cast as the evil, Mouser-creating scientist Baxter Stockman in the increasingly crowded Teenage Mutant Ninja Turtles sequel. I have no strong feelings about this one way or another. Seriously. I’m not necessarily a fan of his own movies, but I think Perry is perfectly serviceable as an actor in other things. And given the “enh, could have been worse” nature of the first TMNT movie, I hard a very hard time imagining the actors’s presence diminishing the results of the sequel. I am curious, however, if this Stockman will remain purely an inventor, or if he’ll get mutated as he has in some of the other TMNT incarnations. I would have to think that footage of Tyler Perry as a mutant fly-man would have some serious meme potential, if nothing else.